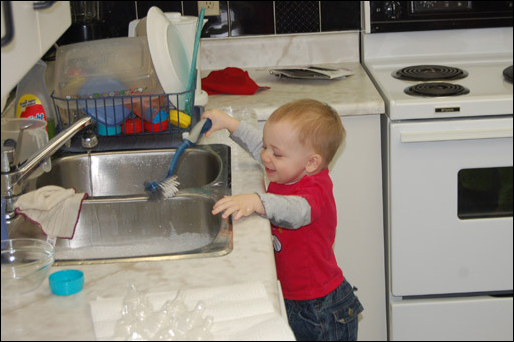 John Thomas seems to have an extra affinity for cleaning. At first we thought we could write off his interests as having to do with motors or enjoying playing in water. 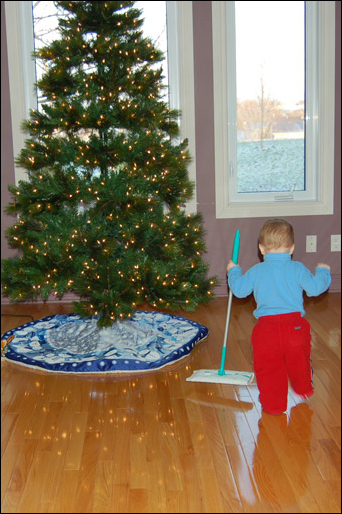 But how do we explain his love of the Swiffer Sweeper? 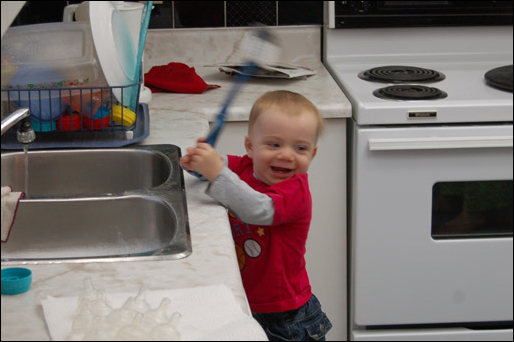 You'll see in the pictures below his delight in scrubbing the sink last Saturday. Since then, every time he sees the scrubber he wants to get back at it. 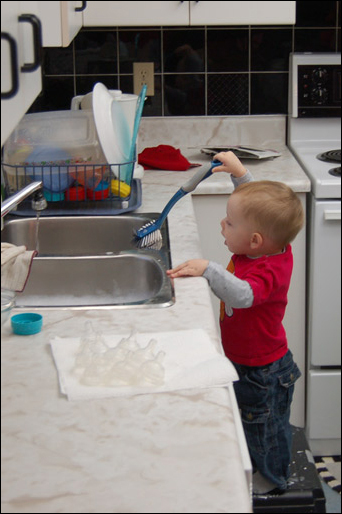 We have to avoid the kitchen sink lest he sees it! Mom has also been setting him up on a stool to reach the bathroom sink most mornings while she blows dry her hair. He gets a toothbrush, dips it in the water, and into his mouth, then he wants another toothbrush, and another, until he has them all! And he's not satisfied if you hand him his little toothbrush. He will only accept it as a secondary or tertiary toothbrush. He must have the same size toothbrushes that Mommy and Daddy use. No pictures of this yet. And then there is the Swiffering. At first we thought it was cute, but then, he would cry for his Swiffer if he saw it. 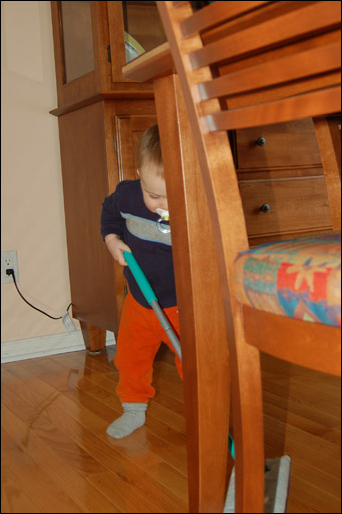 We've taken a couple of lengths out of a standard Swiffer Sweeper and he loves to get into the corners with it and will keep on motoring around with it until Mom and Dad get sick of it and deftly distract him with something else to play with.